Yesterday, just before the bell sounded for first class at Franklin Regional High School in Western Pennsylvania, a sophomore student went on a “slashing spree,” stabbing 21 fellow students and a security guard before being subdued. At least one student is reported in critical condition, and others have undergone surgeries. Like other instances of random, senseless violence unleashed on unsuspecting students embarking on an ordinary day in school buildings, I am not at all sure that full explanations or true motives will ever be completely understood. I do know that, in the aftermath, a lot of healing needs to happen. We can help by creating a tangible token of group concern. 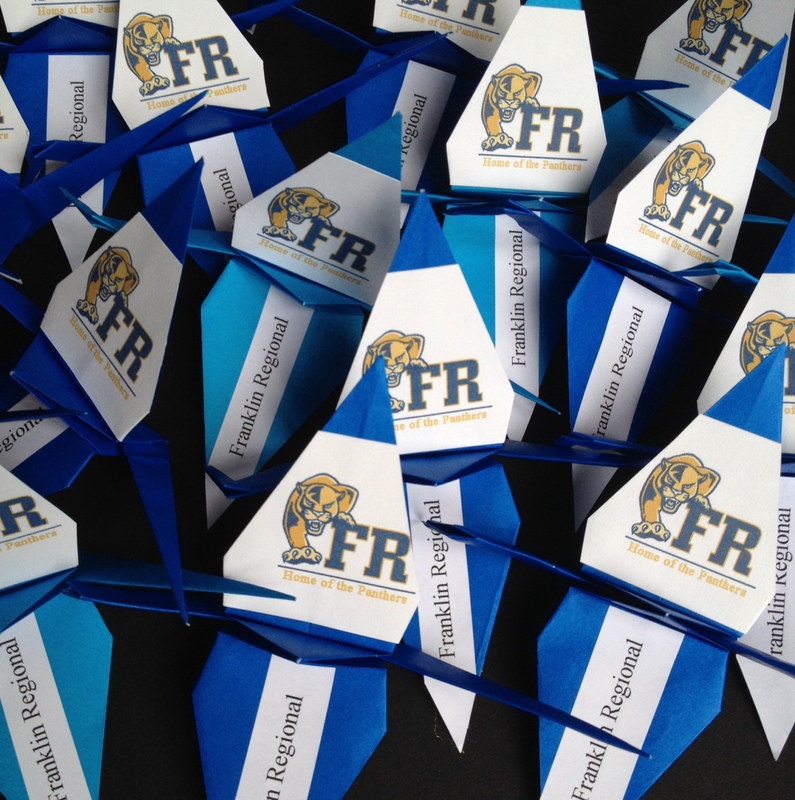 We are folding origami peace cranes for the Franklin Regional High School Community. Our goal is to collect 1,000. Please feel free to write any message or wish on your crane. I’ll keep a list of everyone who participates, so be sure to identify yourself in any way that seems comfortable—full name, initials, age, hometown….whatever seems right to you. If you do not wish to identify yourself, that’s OK too. Mailing, especially international mail, can become quite expensive. 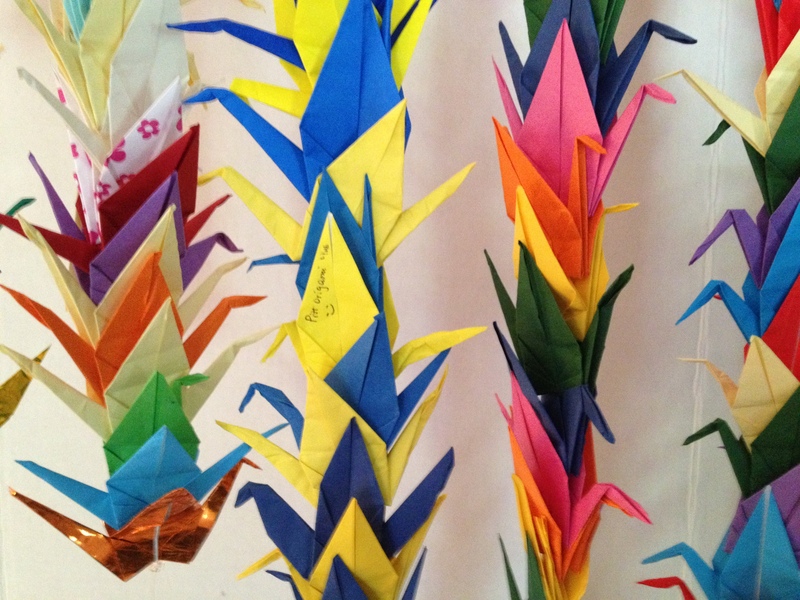 I suggest mailing the cranes folded flat then placed in an envelope. I can fluff them up and string them. If you want to string your own, the strand can still mail flat if you make a circle with it. If mailing is just too costly, then email a photo and I will post it to a photo gallery. We Fold for Good all the time. 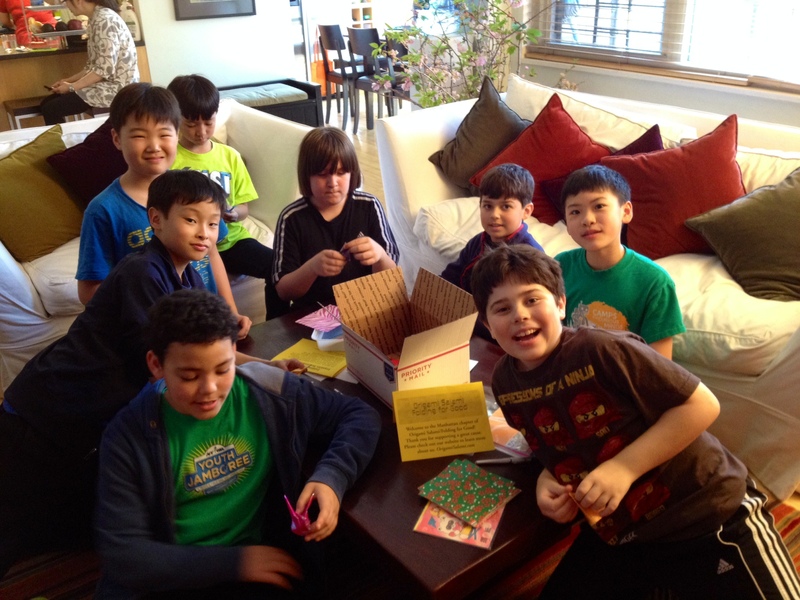 We teach STEM through origami, then we do good in the community with it. Today, the Franklin Regional High School community could use a little support. 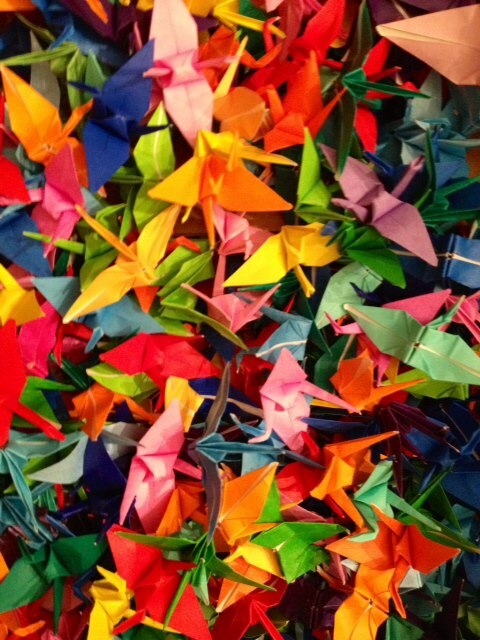 Even if you have folded hundreds of paper cranes, consider doing a few more. And if you have never folded one, this is a great time to learn. 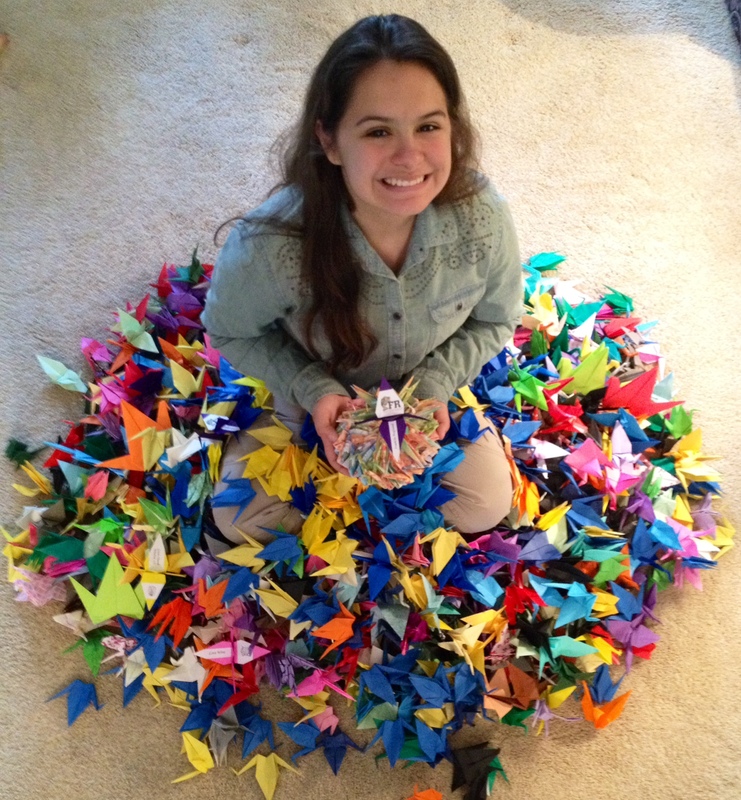 This entry was posted in Art, Franklin Regional, Origami and tagged Folding for Good, Franklin Regional High School, Origami, Origami Salami, Peace Cranes.